This type of cardiac CT scan allows Los Angeles cardiology expert Dr. Jamshid Maddahi to see your coronary arteries without the necessity of surgery. Your coronary arteries provide the main supply of blood to your heart. Through this non-invasive test, Dr. Maddahi can see if there is any build-up of plaque, disrupted vessels, or check prior surgeries. We can check for aneurysms, blood clots, and congenital defects in the heart. Contact our office for instructions to prepare for your CT coronary angiography that are tailored just for you. We ask that you inform our office of any medications (prescription or over the counter) you are taking. We will also want to be advised of any medical devices, or implants you may be using. Dr. Maddahi will provide advice on continuing medications, special precautions for devices and if fasting is recommended. A dye is injected through an IV. You may experience a warm flush when the dye is injected, or feel the need to urinate. These sensations will pass quickly. You will be on a narrow table and passed under the scanner. It is necessary to remain still during the process as movement will cause your images to blur. Let us know if you feel there is any problem with remaining still. Los Angeles cardiology expert Dr. Maddahi will advise you of ways we will work to make your cardiac CT scan easier. Your images are recorded and analyzed by Dr. Maddahi. 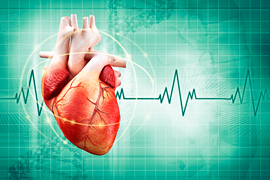 If any abnormalities are found, Dr. Maddahi will prepare a plan to restore your heart's health. The CT coronary angiography is just one of the tools that Los Angeles cardiology expert Dr. Maddahi utilizes in the restoration of hearts. He continues to be a pioneer in improving the technology to repair and prevent heart problems. As a professor of cardiology at UCLA, he is on the crossroads of new technology as it is developed. If a problem with your heart is found, he is your best choice for planning your return to good health.